Book has changed a lot since original publication, but the core argument remains. Atonement theories tend to outlive their usefulness. Mann’s point isn’t that sin doesn’t exist, but that our language must change to effectively communicate with culture. Note: Don’t disagree, but so far no evidence to prove sin isn’t a serious idea in modern life. 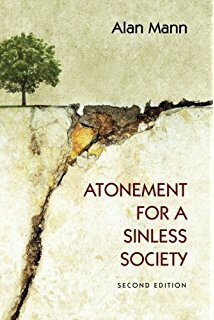 Douglas John Hall > We’ve replaced “sin” for “sins” resulting in a petty moralism. Seems to be an absence of the divine Other, so nothing to sin against, except the self. With the lack of the Other/other, there is a pitiable self-centeredness born of insecurity. Without sin, repentance is meaningless too. Do human rights shift responsibility away from the individual and to the institution or system? Contemporary stories situatate us more as sinned against than as sinner. Mann’s argument >> re-narrations of the biblical story that help people deal with their shame. Shame has come into sharper focus in recent times. Shame is complex, but typically involves self-judgment. People struggling with shame don’t typically want to talk about it. Guilt (and shame within honor/shame societies) “requires some form of reparative action, which should, in theory, overcome feelings of guilt.” Yet shame is not so easily dispensed with. Even in relationships, our focus tends to be on the self. There is a desire for a whole, consistent self, but in reality there is a disparity or inconsistency dividing up the ideal self and the real self. There is a modern inability to maintain interpersonal relationships because of chronic shame. In shame, the real self sits in silence. Since the self and shame are indivisible, for shame to die, the self must die. Shame mus be part of the human plight that we need salvation for. 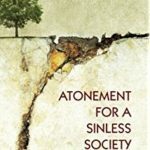 How we define sin determines how we approach atonement. Neither sin nor shame can be reduced to a formulaic description. But there are “family resemblances” amongst individual cases. Shame tends to cut people off from the moral community. The narrative of depravity tends to emphasize an unhealthy focus on the self. Sharing shame can cause us to relive it and therefore compound the pain it causes. Thus confession isn’t ideal. Cleansing rituals are much better suited to deal with shame than confessional ones. Humanity has always told stories, yet there is a tendency towards fiction in storytelling. In response to the scientific era, the church started apologetic missiology. Our present danger is that culture has run away in such a way that our theology is no longer meaningful to it. The scientific/academic world is waking up to the importance of narrative. his [Brueggemann] observation does not deal with the desire for a narrative coherence of the self. Rather, it only serves to perpetuate our fragmented, traumatic, and ultimately meaningless state. If left unattended, as we have been at pains to point out, such incoherence ultimately leads us into the depths of chronic shame. That said, without blurring the issue to utter abstraction, this is not to argue that one needs a single coherent story— only that the self is able to deal coherently with the multivocity with which he or she may choose (or be forced) to narrate the self. We increasingly live in an age when stories no longer have to be legitimized by prevailing metanarratives to be taken seriously. As the exclusivity of the scientific worldview is coming into question, therapy is centering itself more in a “narrative” stream. This is how people understand themselves. People identify themselves via story. In narrative therapy, the therapist needs to listen for underlying background that makes the current narrative possible. According to narrative therapy, we are too often imprisoned by our own stories, instead of liberated by them. Thin descriptions leave the self disconnected from other influential plot lines. Our stories are always in relationship to others and stories beyond the self. Christianity is one story among many, but one that has the power to transform the storied self. Standard stories of the Christian atonement have ceased to be captivating, we must consider our missional context. We have a tendency to over-simplify and we shouldn’t do so here either. The modern “sinless” person wants to hide, not confess. Confessing would be to live out trauma. Jesus maintains relationships up the the last moment. In story of woman at the well, the woman goes from being “pre-moral” (similar to those in shame) to being a moral being. Is Judas suffering from shame? Judas is ripe with narrative possibility vis-a-vis an atonement narrative that addresses shame. Like Judas, are we not also betrayers in our own relationships and search for intimacy? Disciples are revealed as having no concern for the events that Jesus says are about to happen. “Peter has to endure that which the chronically-shamed fear most— exposure of the real self— though it is not Peter who acts to reveal this in some kind of confession. Surprisingly for the reader, it is Jesus who seeks to expose Peter’s real self, turning to say to him, and all present in that Upper Room: “This is your story, Peter, this is who you are and what you will do. This, Peter, is your real self.” ” Peter reaches for a cover story. The argument over which disciple is the closest to Jesus (Luke 22:24) is another betrayal. Jesus leaves room for the possibility of reconciliation, even after betrayal. Telling the story is a narrative possibility for at-one-ment. For the shamed: Passion narrative shows Jesus’ resolve to live in congruence with his ideal self. We, the shamed, live in the absence of mutual, unpolluted relating. Ultimately, our entrance into the story means we must take up the cross and experience a sort of death as well. Liturgy must be open to renewal in order to incorporate the changing story of what it means to be human in the twenty first century. The Lord’s Supper as now used developed according to missional needs in ancient times. Liturgy and ritual is the encountering of one story with another. The Eucharist is nothing without those narratives in which Jesus reveals his intent. Where is the sin against the self in liturgical practice? The prophet Nathan offers a counter-narrative to David’s own self-narrative. The liturgy must be able to carry the weight of the self’s own story. To tell one’s story through the narrative of atonement is to confess. The incoherent self is put to death. The community becomes a witness to the emerging self. Other stories, even stories other that Jesus’s must be welcomed at the table. The “other” has been given little credence in atonement narratives. Jesus’ story replicates itself producing “ever new, non-identical” versions.